Perhaps the only bees on the planet to have Secret Service Protection. My friend, Mac loves bees. He worries about them in extreme cold. He frets about them in extreme heat. He puts out pans of water for them to drink in the summer. He is frequently called upon to gather wild swarms and is happy to give them a good home whenever possible. Mac has many, many hives and ensures that each one is located is a place that will provide optimum pollen and plenty of resources to keep them happy all season long. Because of Mac’s attention to detail, he produces some of the finest honey I’ve ever tasted. Actually, the bees produce it, not my friend…he just puts it in jars. Positioned just alongside the White House Garden, these bees are in the perfect location to hear the latest buzz on happenings in and around the capital. Mac has opened my eyes to the wide world of bee keeping. That is probably why I was so excited when I found a bee hive in a most unusual place this past week. We all know about Mrs. Obama’s garden and while visiting the White House, I saw many people stand at the fence and pose for pictures with the garden in the background. 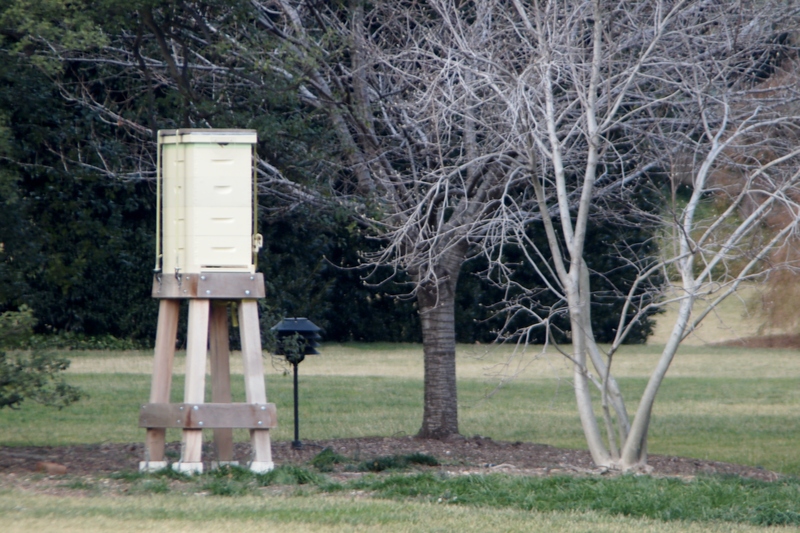 What they may have missed was the Bee Hive that is positioned in the shade of several trees just a few yards away. 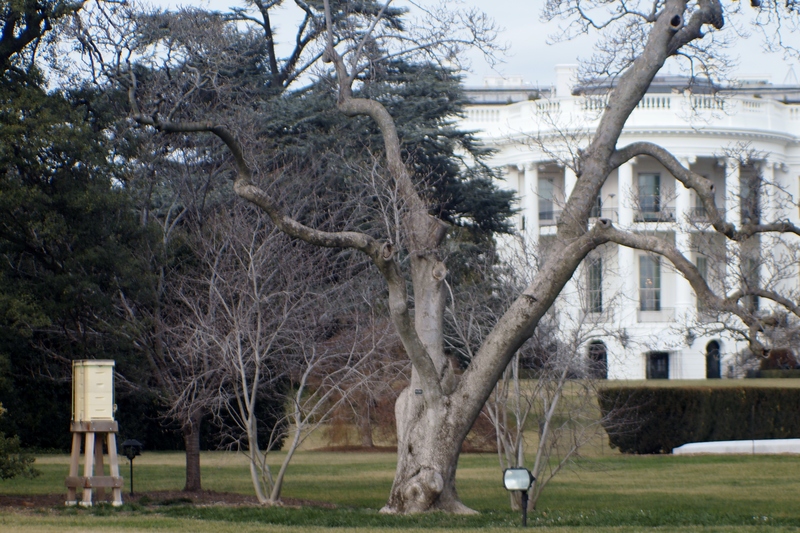 I had no idea that the Obama administration supported bees and was fascinated by the numerous articles and videos that explain this new addition to the White House property. It seems that this past year, while providing pollination to Mrs. Obama’s garden and the many flowers surrounding the area, the bees were also able to provide over 175 lbs of honey to the White House Kitchen. That is a lot of honey! And while I am no apiculturist or even an economist, I’m thinking that the White House may have found a way to reduce the deficit. At nearly $10 a jar and a few more hives, we could lick (pun intended) this budget problem that is all the buzz (yes, pun intended again) around our nation’s capital. Put that bee in your bonnet! Well isn’t this article the bee’s knees! Interesting info and well stated. Thanks, Curt.